Next up, we’re looking at 12 brilliant books guaranteed to keep them busy and keep you sane. These are educational as well, but don’t worry – we won’t tell them if you don’t. Because no Christmas is complete without Peppa! 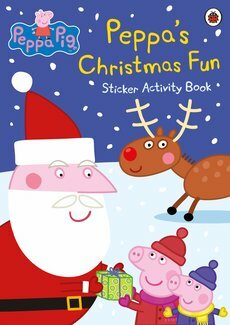 Keep the littlest readers thinking and having fun with Peppa’s Christmas activity book. 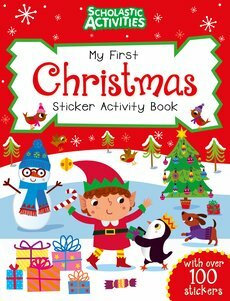 Another one for your youngest readers, this contains lovely seasonal activities, plus 100 colourful stickers to get them excited. Full of simple ideas to explore the best bits of Christmas. 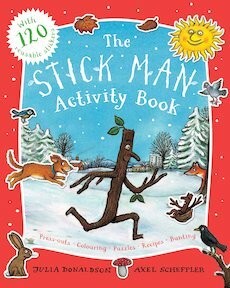 Stickers, press-out puppets, play scenes, postcards, a memory card game, bunting, recipes, carols… Stick Man’s done us proud. Put the animation on, read the book together, and then leave this in their stockings! Why spend your precious festive funds on decorations? It’s way more fun to get crafty and make your own with your kids. 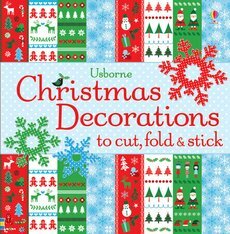 Including 100 paper sheets and all the templates you need, this set will help you make six types of decoration, from paper chains to angels. 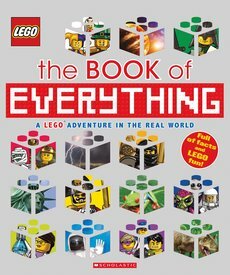 This is such a great way to keep them engaged and learning over the holiday period – it’s a unique reference book, filled with facts plus modelled LEGO® artwork, covering everything from science to popular culture. Always a favourite at this time of year, this art box has everything they could possibly need. 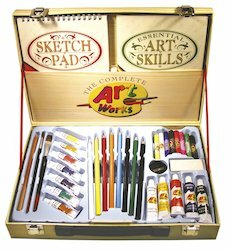 There are cool sketching tools and a skills manual full of handy tips, oil pastels, poster paints, pencils, watercolours and brushes. The perfect present for creative kids! This is one to buy now, so they can give out their personalized Christmas cards to their friends before the big day! 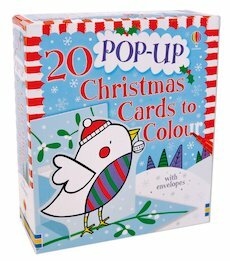 With twenty cards in ten designs to complete with colour and glitter, this is everything you need for fun-filled arts and crafts afternoon. Take advantage of the extra time at Christmas and spend some time baking with this flip-over feast of festive treats! 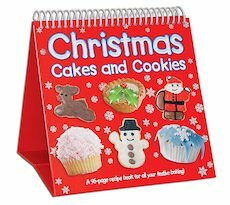 All the classic treats – Yule logs, Christmas cake, mince pies – plus dozens of exciting new ideas. If you’ve got any little LEGO® fans in your household, this is a great way to stay entertained in the holidays. 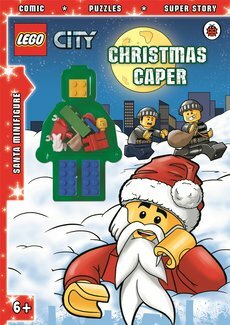 This book includes activities, puzzles, comics, a festive story and a free mini-figure. 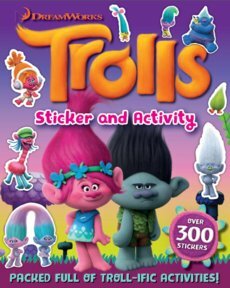 If you and your kids have fallen in love with the new Trolls movie, make the experience last longer with this brand-new sticker and activity book inspired by the film. Any budding magicians in the family? 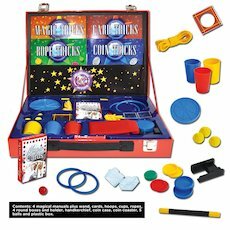 Get this bumper box stuffed with equipment and tricks to try, and discover the secrets of history’s greatest magicians at the same time. The ideal activity for the after-lunch lull. 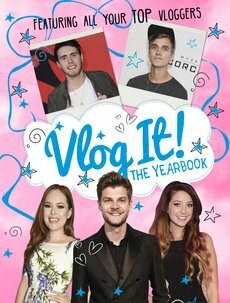 The perfect gift for teens, this full-colour yearbook features all the biggest names with scrapbook pages, fill-ins, activities and vlogging ideas. Plus, it’s ordered season-by-season, so it’ll keep them inspired all year. If you’re reading this on 4th December, add any of these books to your basket and your 20% discount will be automatically applied!